Dating Mistakes: Today’s episode of Hot, Healthy & Happily Ever After is devoted to those among us who are looking for love. Whether actively dating or simply being open to the connection should it happen- there are a few common dating mistakes singles make when hoping love finds them. Don’t worry, the mindset and behaviors I am sharing today can be applied to many of us in our long-term relationships too- so you will still want to listen. A brief summary of those dating mistakes… 1. Putting off love and a relationship until you’ve fixed a broken part of yourself first. 2. Dating someone simply because they are interested in dating you- NOT because you actually LIKE them. 3. Seeing what you want to see in someone, rather than seeing them for who they really are- and then setting you both up for frustration, hurt and disappointment. 4. People pleasing with your date- not sharing your REAL self- but the person you think you need to be in order to be liked, accepted and loved. Catching yourself with these mindset mistakes will really help you find the love you are looking for and the love you deserve. Changing who you are, editing yourself, undervaluing yourself or having unrealistic expectations for love will most certainly prevent you from having love. There is absolutely nothing wrong with you the way you are so don’t change yourself thinking you will attract love- remain true to yourself but with these more confident and empowered beliefs and it will happen in no time! Listen in for the deeper explanations and my solutions to these mistakes. 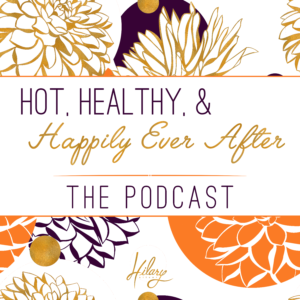 Subscribe: Hot, Healthy & Happily Ever After – Hilary Silver Hilary Silver, LCSW is a marriage therapist and relationship counselor in Denver, CO, and the creator of Hot, Healthy & Happily Ever After. She specializes in helping men, women and couples learn the secrets of keeping the love and passion alive for the long- term. Visit www.hilarysilver.com for more information!